Would you like to see your YA readers enthusiastically check out books from all kinds of sections in your library? Looking for programs that really “grab” YAs? Then this program is for you! If you’ve visited other pages on my website, you may have noticed I’m a bit obsessed with magic. It started off as a goofy hobby that my mother didn’t (and still doesn’t) understand and has grown into a fun and creative way to make a living. While many dismiss magic, the truth is, magic promotes creativity and brain growth – all of the hallmarks of a good way to spend your time! With that in mind, and the fact that kids are constantly asking me to teach them magic after one of my shows, I’ve finally put together “Cris Johnson’s Magic Workshop.” This program is exciting, high energy, high quality, interactive, and really interests young adults! The best part? Because it is SO interactive, the very nature of it stimulates further reading. 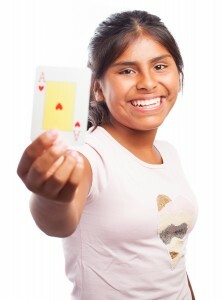 This is a YA program that teaches 9-15 year olds magic tricks, magic history, and stagecraft. At the same time it builds confidence and motivates them to explore their library to learn more! Developed by a professional magician with nearly 20 years’ experience across North America, (that’s me! ), this is a workshop that your readers will talk about all summer. • See a brief magic show. • Learn how to perform beginning-level magic effects. • Get introduced to a brief history and important people of magic. • Discover ways that the library can help them learn even more about this amazing subject. There are summer program performers and authors who don’t quite measure up to their promotional materials. Some are good at their skill but are not as adept at teaching that skill. It takes talent to not just give the kids the information but to also ensure that understand and can use that information. 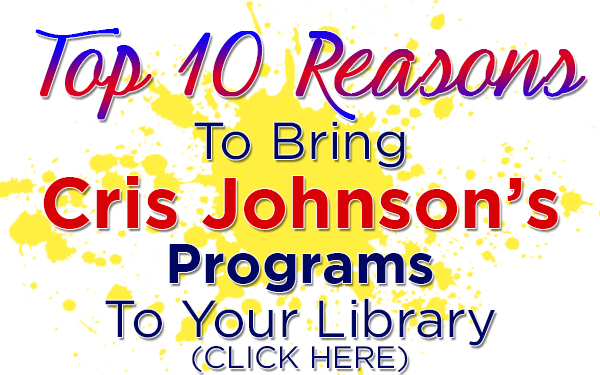 “Cris Johnson’s Magic Workshop” brings you the best of all worlds. 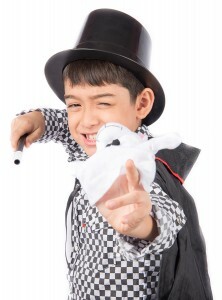 This workshop has been carefully designed to give the kids attending some real-world knowledge of not only the secrets of magic (which is what first draws their attention) but how to perform the tricks as well as an appreciation of the history of magic and stagecraft. This is a YA program your kids and parents will LOVE simply because it’s so interactive! • Encouragement and inspiration to visit the library to learn more! • Thanks for both attendees and parents for providing a wonderful experience! IMPORTANT NOTE: If you schedule your Magic Workshop immediately before or after Cris Johnson’s Children’s Summer Reading Program in the same building on the same day, you can save BIG on both programs! Call me at (716) 940-8963 (that’s my cell phone) or email me at cris@elementaryschoolassemblies.com for more details!